The Appalachian trail or simply A.T is a hiking trail in the eastern board of the United States. It straddles the Springer Mountain in the state of Georgia and Mount Katahdin in Maine. In total, the trail covers about 2190 miles (3500 km). The length changes over time as paths get modified, closed shortened or rerouted. The trail passes a total of 14 states. These are North Carolina, Tennessee, West Virginia, Virginia, Pennsylvania, Maryland and New Jersey. The others are Massachusetts, New Hampshire, Maine, Connecticut, Georgia and New York. It was completed in 1937 after more than a decade's work, although modification and improvements continue to this day. The management of the trail falls into the hands of three main groups. There is the National Park service, United States Forest service, and the Appalachian Train Conservancy. Most of the on-ground stewardship is handled by the state agencies, volunteers, and partners. The trail consists of structures, natural resources and cultural resources, sites and artefacts. The scope of the maintenance work includes helping set policies, supply funding, provide training, building shelters, and structures, clearing natural growth of the paths and relocating sections of the footpaths. 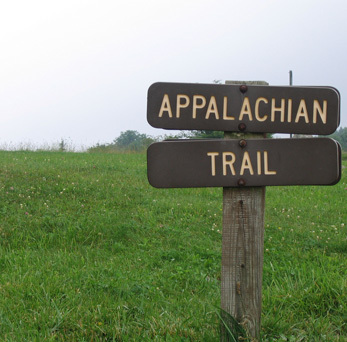 There is a total of 31 trails clubs that handle different parts of the Appalachian trail. The Appalachian Trail has a total of 250 backcountry shelters covering the entire 2100 mile stretch. This puts the shelters within 8 miles of each other. The shelters range from 5 to 15 miles from each other. 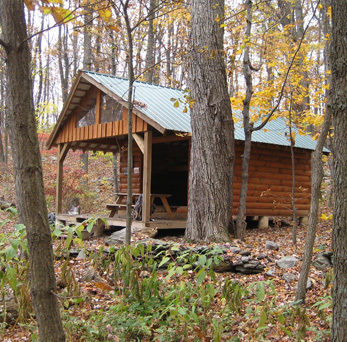 A typical Appalachian Trail shelter has an overhanging roof, wooden floors, and three walls. They are mostly built close to creeks, springs or a flowing stream. In some regions, the shelters are about 30 miles of each other. That’s if there is a town or motel in between them. The shelters are occupied on a first-come-first-serve basis. They are for individual users not big groups. Some heavy use shelters require permits and registration. That’s why you need to have a guidebook with you before starting the trail.